This deluxe edition 4-DVD set includes Darren Wilson's original film plus more than 11 hours of interviews and bonus footage from around the world. Additional 'making of' featurette reveals the story behind this groundbreaking movie. In this final installment of Daren Wilson's popular 'God Trilogy' (Finger Of God and Furious Love), Darren and his team take you on their wildest, most powerful ride yet. Asking the simple question, 'Who is the Father? ', you will be blown away by the incredible and historic encounters they were able to capture. Featuring a veritable who's who of Christian leaders from across the globe (including Bill Johnson, Heidi Baker, Jesus Culture, George Barna, Andrew Wommack and many more) and witch doctors, gang leaders, Hindu Gurus and Muslims alike encountering the God of the Bible, you will never view the Father quite the same again. Prepare to meet your Maker, as Darren and his team cut through religious misconceptions in an effort to find the true nature, heart and character of God. This expanded 4DVD set includes the original film plus over 11 hours of extra content, interviews and footage from around the world. It also incudes deleted scenes, an alternative opening and the expansive 'making of' featurette. This is your chance to not only own the film but to see the rest of the story behind this ground-breaking movie. Running Time: 98 Minutes for the documentary also includes over 12 hours of bonus features. Father of Lights DVD Deluxe Edition by Darren Wilson is published by Wanderlust and is our 3786th best seller. 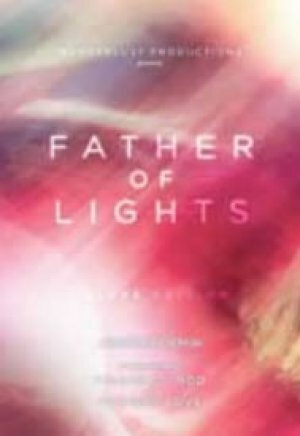 The ISBN for Father of Lights DVD Deluxe Edition is 0854835003367. Got a question? No problem! Just click here to ask us about Father of Lights DVD Deluxe Edition.